Landing your dream job takes time, perseverance, and patience. Office gives you the tools you need to put yourself in a position to succeed. 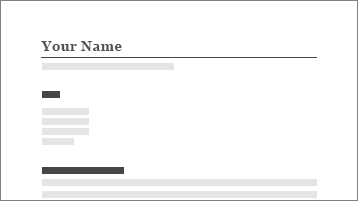 Resume Assistant shows you examples of how professionals in the field you're interested in describe their work experience and skills. 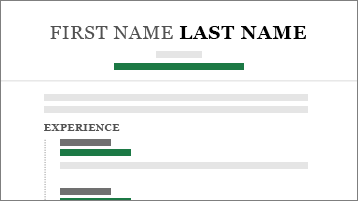 Note: Resume Assistant is an English-language feature. To use it, the display language in Word must be set to English. 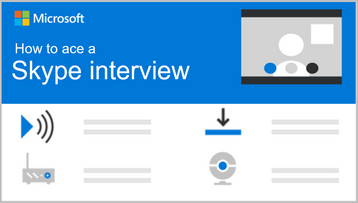 Use one of many customizable resume templates in Word to help get you started. 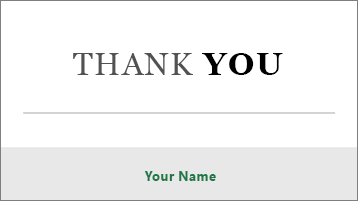 Make a great first impression with a pre-formatted cover letter template in Word. Leave a lasting impression by summarizing your qualifications and enthusiasm for the job. Organize your experience and answers using a simple and effective template based on the STAR (situation, task, action, results) method for interviewing. 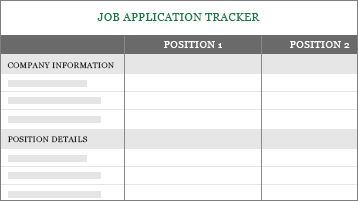 Keep track of your job application details and contacts all in one place. 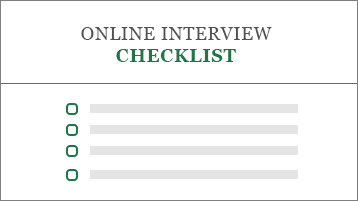 Use this list of tips to prepare for and get comfortable with video interviews. Learn about nonverbal skills, technology, physical space, closing the interview, and more.